"Make your morning super, with this superfood smoothie made with chia seeds and Stevia In The Raw." 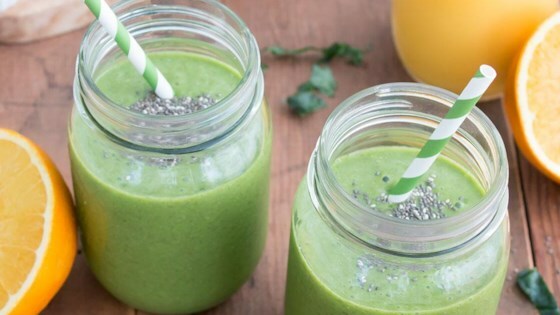 In a blender, combine mango, kale, almond milk, orange juice, stevia, and chia seeds. Blend until smooth.